VietPress USA (Nov. 5, 2018): The flag outside North Ogden City Hall is at half-staff and will remain so at least through the funeral for Brent Taylor. Inside, city staffers are managing the best they can. 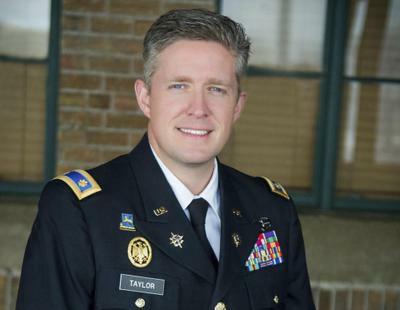 Taylor had served as North Ogden mayor, and was killed Saturday while on leave from the city posting for a year-long deployment to Afghanistan with the Utah Army National Guard. Last Saturday evening, it was reported that a Guard member killed in Afghanistan by an "Insider attack" was North Ogden Mayor Brent Taylor. Taylor, 39, was deployed to Afghanistan in January with the Utah National Guard for what was expected to be a 12-month tour of duty. Taylor, an officer in the National Guard, previously served two tours in Iraq and one tour in Afghanistan. Utah Sen. Orrin Hatch issued a statement Saturday about Taylor’s death on Twitter. “Brent was a hero, a patriot, a wonderful father, and a dear friend. News of his death in Afghanistan is devastating. My prayers and love are with Jennie and his 7 young children. His service will always be remembered,” Hatch said. "I am heartbroken at the news that we lost one of our own today in Afghanistan and feel completely humbled by the service and the ultimate sacrifice offered by this brave and selfless soldier. The entire Herbert family mourns with this soldier’s family and we pray that their burdens may be lifted, and that the hearts of all Utahns will reach out to comfort them in their grief." The tributes to Taylor started pouring in Saturday after the news spread and they continue, while friends and family said Monday that funeral arrangements were moving forward. Taylor was to have completed his deployment in Afghanistan and return to North Ogden early next year. The tentative plan is for a funeral at the Dee Events Center in Ogden, home to the Weber State University basketball team, according to Kristy Pack, sister of Taylor’s wife, Jennie Taylor. North Ogden City Councilman Phillip Swanson said officials want a venue that’s large enough to accommodate the expected crowd. Brent Chugg was appointed to temporarily fill in as mayor last January during Taylor’s deployment, on Taylor’s recommendation, per guidelines spelled out in state law. But with Taylor’s death, new guidelines will likely apply, and the North Ogden City Council has to sort through the situation. As Call understands it, with Taylor’s passing, it’s now up to the North Ogden City Council to appoint a mayor to fill in as leader until city elections next November. That’s when voters would select a leader to serve what would be the final two years of Taylor’s term. Taylor was elected to his second mayoral term in 2017. Taylor was in Afghanistan to help train Afghan military forces, and one of the members of his contingent apparently turned on him and attacked him during a foot patrol in Kabul on Saturday, killing him. Other Afghan forces immediately killed the suspected culprit and the matter is under investigation by military officials. 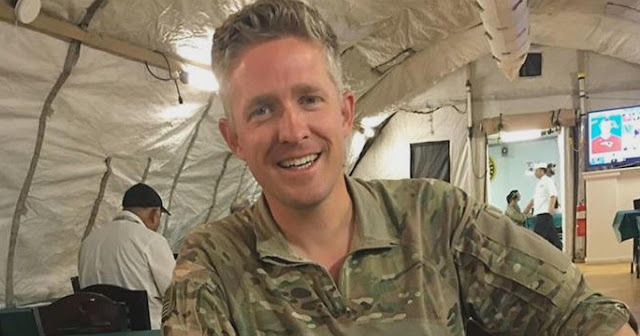 Utah mayor Brent Taylor, a major in the Utah National Guard, pleaded with “united” Americans in a moving Facebook post to vote just days before he was killed in an insider attack in Afghanistan. The emotional appeal came after Taylor witnessed Afghanistan citizens risking their lives to cast their votes. The “beautiful” turnout of 4 million voters who braved “threats and deadly attacks” was a “success for the long-suffering people of Afghanistan and for the cause of human freedom,” wrote Taylor, the mayor of the small town of North Ogden with a population of 17,000. He became mayor of the town, located an hour north of Salt Lake City, in 2013. “As the USA gets ready to vote in our own election next week, I hope everyone back home exercises their precious right to vote. And that whether the Republicans or the Democrats win, that we all remember that we have far more as Americans that unites us than divides us,” he wrote in his last post. Taylor, who was in Afghanistan serving with the Utah National Guard, planned to continue his duties as mayor when he returned home. He was deployed in January for what was supposed to be a 12-month tour. He had already completed two tours in Iraq, and a previous one in Afghanistan, The Salt Lake Tribune reported. He was working in his current tour as a combat adviser to the Afghan border police, according to the Army Times. Taylor was killed Nov. 3 in Kabul in an apparent insider attack that also wounded another service member, according to the Department of Defense, reported The Associated Press. The attacker was immediately killed by Afghan forces. Initial reports indicated the attacker was a member of the Afghan National Defense and Security Forces, the Army Times reported. Taylor posted his Facebook message on Oct. 28.